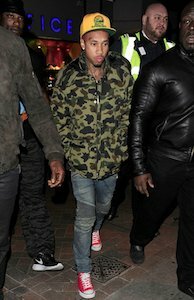 Photo gallery of Tyga wearing various pairs of chucks. 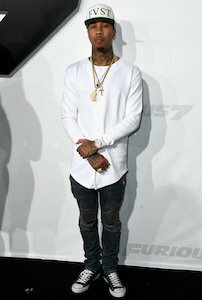 1 Tyga Tyga wears black chucks at the premiere of Furious 7. 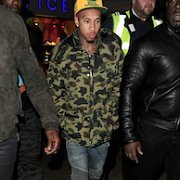 2 Tyga Tyga wearing red chucks while out and about with his security. 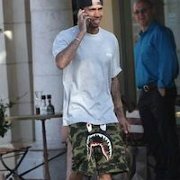 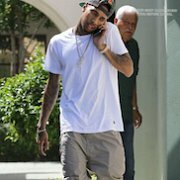 3 Tyga Tyga wearing low top black chucks while on the streets of LA. 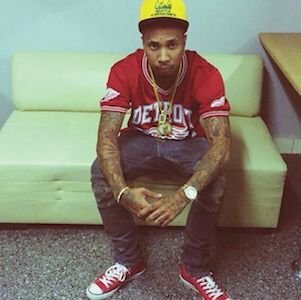 4 Tyga Tyga wearing red chucks to match with his Detroit Red Wings shirt. 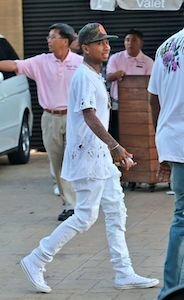 5 Tyga Tyga wears all white, including his chucks. 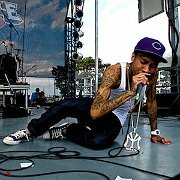 6 Tyga Tyga wearing maroon chucks while on stage. 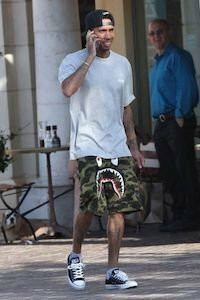 7 Tyga Tyga’s low top black chucks seem to be a "go to" look.